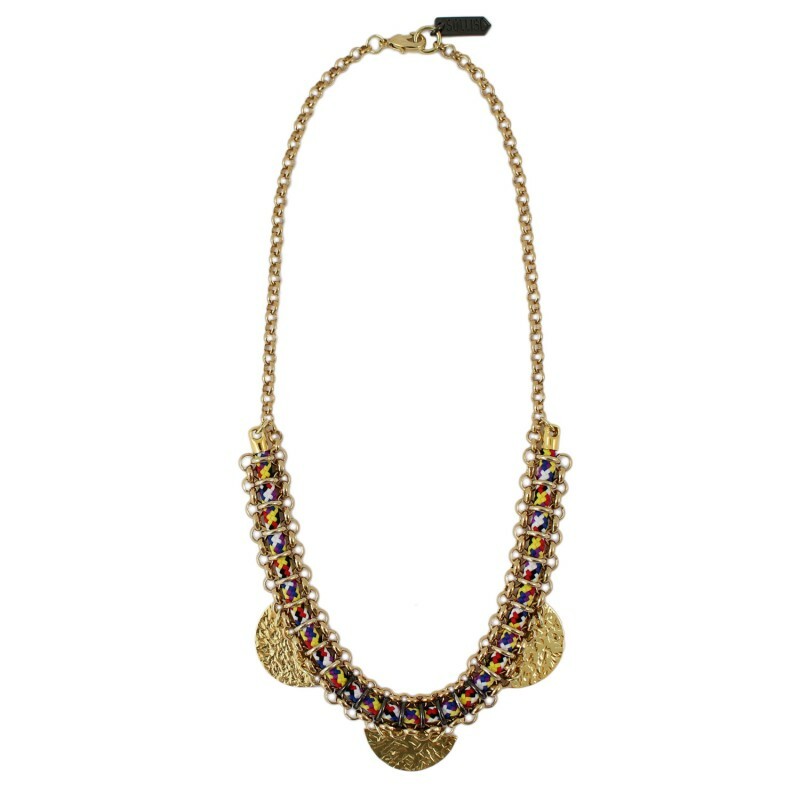 The Tomba Necklace – Multi is hand crafted using gold plated brass and viscose cord. 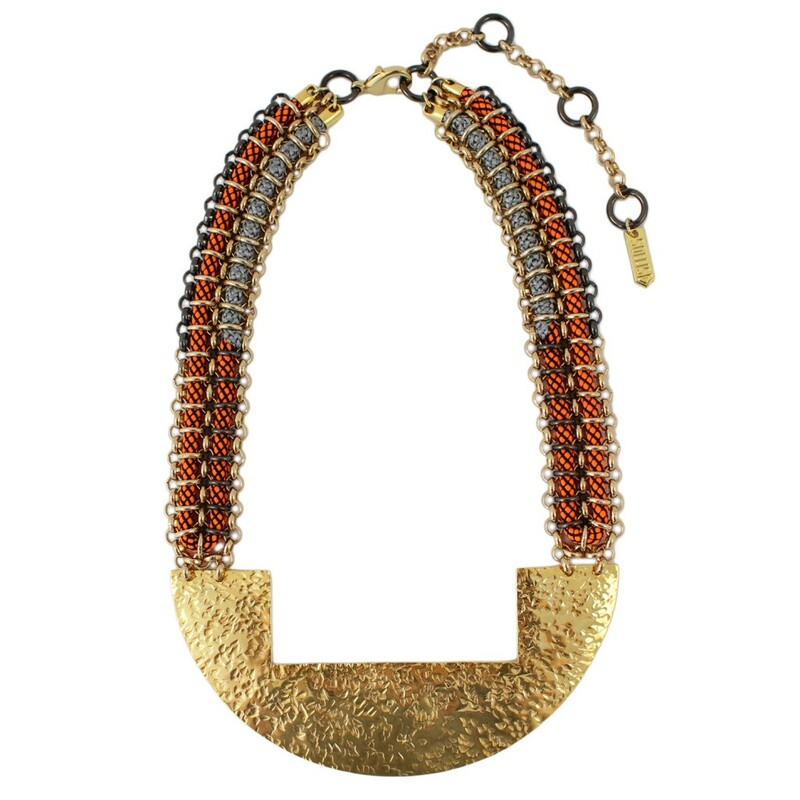 The metal shapes are hand cut and hammered to create a beautiful textured finish. 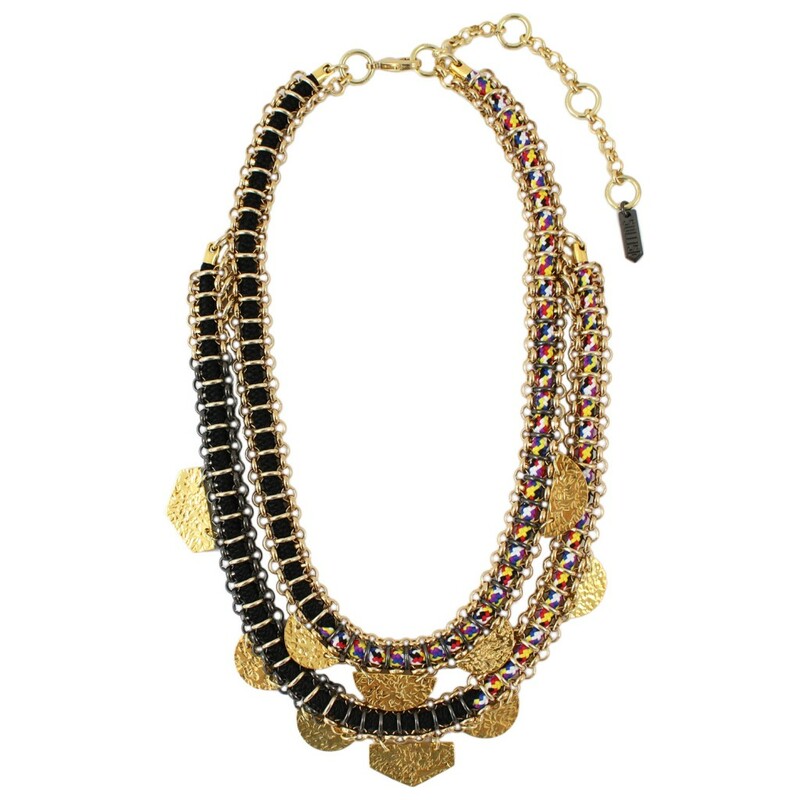 Inspired by African Kuba tribe textile designs, this necklace has a relaxed style and is easy to wear. Every piece from the Sollis Jewellery collection comes packaged in a SOLLIS gift box.